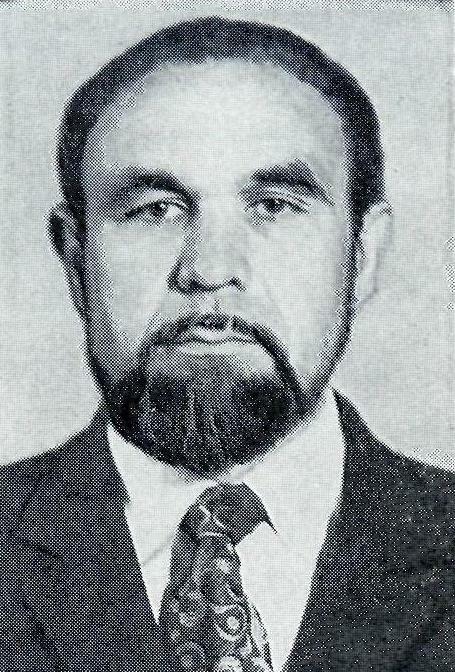 Aleksandr Petrovich Simakov was born June 19, 1937 in Taldy-Kurgan, now the capital of Almaty Province. Along with Bobrov, Kuzmin, Nimets, Chuvylko, and Tverdokhlebov, Simakov was part of a cohort of several "monumentalists" who graduated from the Leningrad Vera Mukhina Higher School of Art and Design in 1967 and moved to Alma-Ata, eventually helping set up a new studio of monumental art. 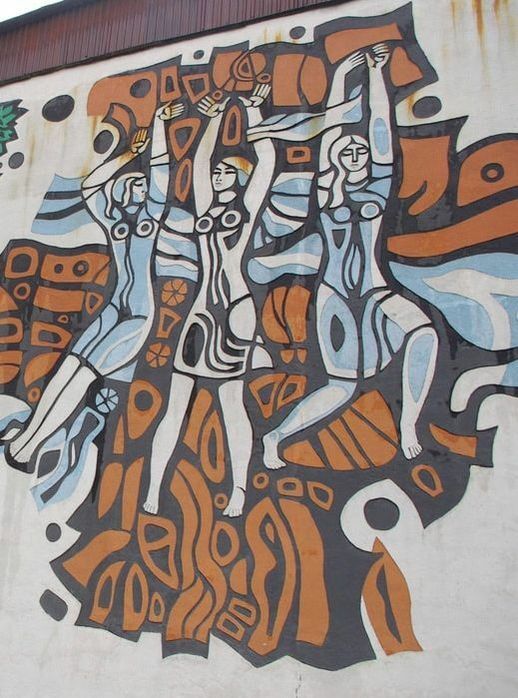 Simakov’s first major work in Kazakhstan came a year earlier, in 1966, when as a student he came with a group of other monumental artists and built a large bas-relief monument near the city of Kokshetau, dedicated to the landing of Valery Bykovsky, the single cosmonaut on the Vostok 5 mission. A second monument planned during his students years, dedicated to the landing of the Voskhod 1 cosmonauts, was scrapped due to financial difficulties. 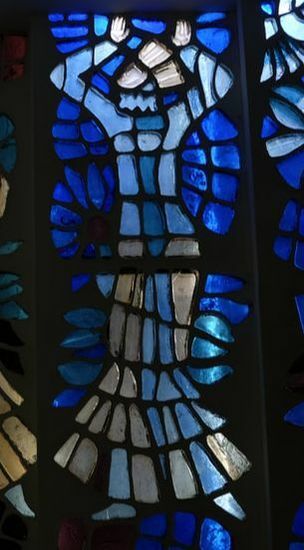 In Almaty, his works consist of two sgraffiti and two stained glass, though one work in glass has since been destroyed. 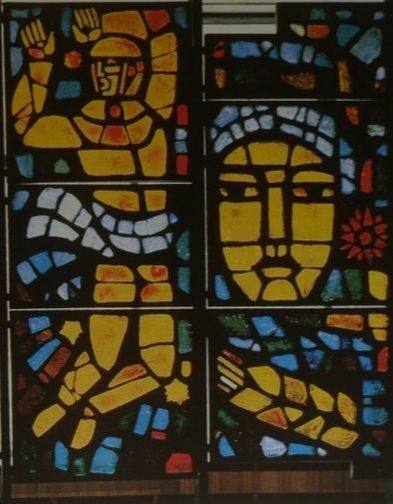 He was a pioneer in Kazakhstan in the use of dalle de verre glass, creating the first such work at the headquarters of Kazakhstan’s Komsomol in 1969-1971, together with the artist Gennadiy Zavizionniy. Simakov would go on to create dalle de verre works in Kostanai (1970, with Dzhakubaliev and Zavizionniy), Dievka (1972, with Dkhakubaliev), Uzen (1973-74) and Semey (1985). Since 1996, Simakov has lived in Melbourne, Australia with his family.